In IT, the biggest transformations are around the disruptive emergence of the cloud services model — a model that is both market expanding and challenging. The cloud-driven transformation of the IT market is necessitating the restructuring of vendors’ offerings, market footprints, and business models. It is also driving organizations to become leaner, meaner and more efficient.Having said so, there are certain perceived challenges in the adoption of Cloud Computing. One might doubt the hype surrounding cloud, but as ICT progresses one will eventually use cloud. A Must attend event for Technology and Business decision makers form Indian SMB Enterprises. CMR’s Cloud Computing Forum intends to highlight current trends and provide actionable advice and best practices on how companies in India can capitalize on the new cloud formation. Whether you are a small business owner or a medium scale one, it is tough to survive amongst the huge conglomerates. With squeezed budget, to add an elaborated promotional and marketing plan is expensive. Where every single penny counts, the small and medium scale business owners find it difficult to brand their products and services. But the good news is just around the corner. The SME Joinup is India’s first web Business Mall – a place where you find everything that small and medium scale business entrepreneurs are looking for. SME Joinup is an esteemed online one stop destination for the small and medium scale businesses. It offers the newbie entrepreneur the desired kind of business exposure in the industry. Just within a short span SME JOINUP has developed a Business Development Platform only for Small Businesses and have smoothly built a network of 40,000 + business-owners & decision makers, 5000+ service providers across 200+ services and 400+ investors and it is ranked amongst the top five B2B websites nationally. 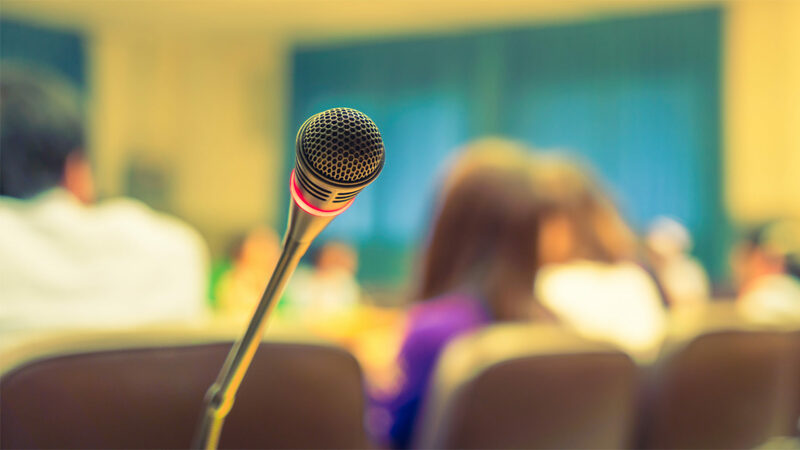 We have successfully organized 100 + self and partner events and are known for their innovative and informative newsletters and significant social media interactions. The transactional platform smoothly connects various service providers where they can transact with other businesses and successfully creates over 250+ requests for various services every month. Samarth Kholkar , as Business Development Leader for IBM Cloud is responsible for growing IBM Cloud Business in India/South Asia with high focus on Born on Web, Media & Entertainment and IT/ITES industries. He is part of Core Strategy Team to develop SME Ecosystem for SoftLayer , IBM’s public Cloud offering. His engagement extends to working with leading Venture Capitalists & Investors, connecting them to high potential startups at an early stage and developing a joint Go to Market for their portfolio companies. 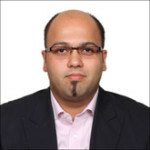 Samarth has a total experience of over 11 + years in Sales & Marketing. At IBM, he has led multiple transformational deals in Services with high focus on Social, Mobile, Analytics and Cloud. Cloud Services Technical Sales Leader, IBM Cloud Business Unit, India/South Asia. In his current role, Sanjay works closely with sales and coverage leaders for the positioning IBM Cloud Strategy and deployment of various Cloud Svcs offerings for India/South Asia. In addition, he interacts with customers for positioning and strategizing various Cloud Svcs offerings. Prior to this role, Sanjay was Business Leader for System Services Line of Business in ITS for ISA. Sanjay has broad experiences in various aspects of business, ranging from business leadership, product management, account management and business development both from a technology and geographic perspective. Ashwin has an extensive experience of leading investment backing mandates and joined Scaale Capital after successful stints in financial advisory including one at a Big 4 audit firm. He is based out of Mumbai and heads the investment banking operations of Scaale Capital. He has successfully led fund raising and M&A transactions in the areas of Cleantech, IT, Food Processing, Healthcare, Textiles, Hospitality and Infrastructure. Ashwin has graduated from the Queensland University of Technology, Brisbane and holds an MBA in Finance from Symbiosis, Pune. Within his role as a Vice-President & Global Head Capital Division for CBA,Scaale Capital,Scaale Exit & Scaale Advisory; Ashwin handles Global Cross-Border M&A, Technology Scouting, Strategic Advisory,Transaction Support & Bridge Funding with special focus on Ed-tech, Media & Entertainment, IoT, Robotics, AI, Cleantech, Biotech, Mobile Apps, Online Marketplaces and Education. With more than 25 years of software development experience, Anand heads the software development team at A.T.E. Enterprises Pvt. Ltd. (BU EcoAxis). Involved right from ideation stage, he has implemented a cloud based IoT software framework for remote monitoring of industrial equipment. This highly scalable framework is targeted towards OEMs and multi-plant owners for continuous monitoring of their plant and utility equipment. Dr.Srikanth Sundararajan has 25+ years of international experience in the software product and services space. He has worked at HP, Informix, and was part of the executive leadership team at HCL, the world wide CTO at Cognizant and the COO at Persistent.He had also successfully founded his own start up, Pretzel Logic Software Inc., which was subsumed into BEA, now Oracle. He is also a visiting faculty of computer science at IIT Bhubaneswar and has taught at several US universities. He also serves on national committees on technical education, an initiative of MHRD, India. Currently he is a Venture Partner with Helion Advisors, an India focused fund to help technology focused start-ups looking to go global from India. He holds a BTech degree from Indian Institute of Technology, Madras, and a MS/PhD in Computer and Information Sciences from University of Illinois, Urbana Champaign. 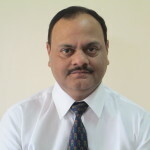 He has several publications and is the holder of patents, jointly with HP and BEA.